A valuable tool for monitoring pH, useful for testing soil water & fertiliser solutions. Includes a soil testing kit to make monitoring your soil quick and easy. The pH scale ranges from 0 – 14 (acidic to alkaline or basic), with pH 7 being neutral. Soil pH affects the availability of nutrients to crops, and for most crops the ideal soil pH is 6.4. Soil pH can be measured quickly and accurately with the Eco pH Meter and soil test kit. The Plant Sap & Soil Nitrate Meter is a compact size nitrate ion meter using Horiba’s original flat sensor. 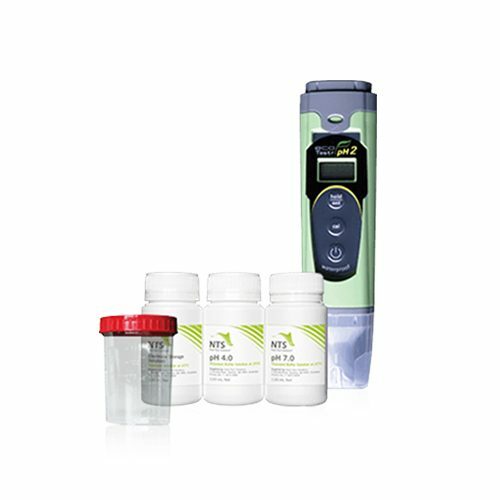 The Plant Sap & Soil Nitrate Meter is a Japanese manufactured specialist ion meter featuring flat sensor technology which allows measurement of a very small volume of liquid. This makes it ideal for plant sap measurements. With simple calibration and operation, this pocket size meter allows easy nitrate ion measurement in various applications. Bruce Tanio’s discovery that plant sap pH is a reliable guideline to plant health is a genuine breakthrough in Nutrition Farming®. The Plant Sap pH Meter is a Japanese manufactured specialist pH meter featuring flat sensor technology which allows measurement of a very small volume of liquid. This makes it ideal for plant sap measurements. The meter can also be used to measure the pH of soil and fertiliser solutions as well as for general water quality testing. Early growth, stem strength, fruit/seed size and plant sugar production are all governed by potassium. Potassium management is critical in the pursuit of high-production fertility, which is why in-field potassium monitoring can be very productive. Potassium is utilised during fruit and seed filling and is critical to maximising crop yields. However, potassium is often overused in contemporary horticulture and excesses can tie up magnesium and boron. Monitoring sap potassium levels throughout the crop cycle can assist in balancing and optimising potassium application. A single tool that can be utilised to predict yield, quality, pest and disease pressure and stress resistance. 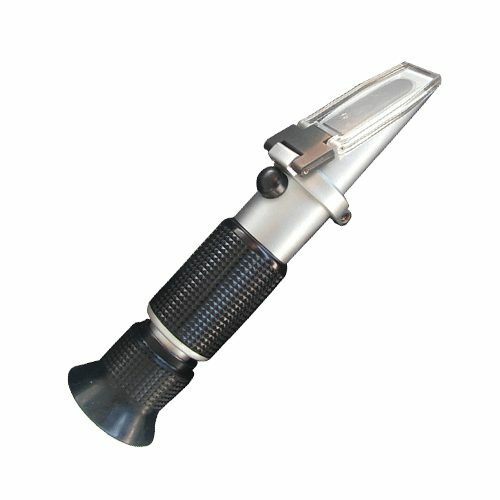 The refractometer is an indispensable tool for Nutrition Farming®. This simple, robust instrument can utilise just a couple of drops of sap or juice to provide valuable data for crop management. 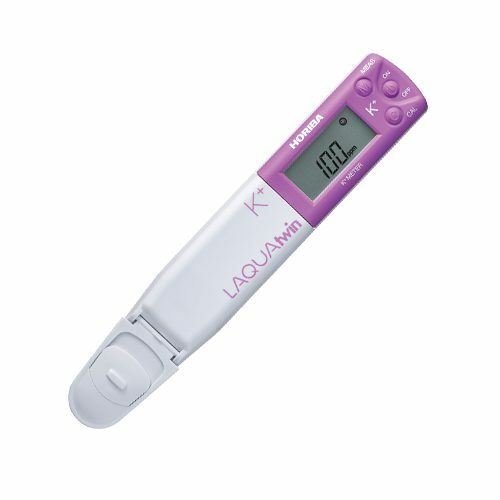 It measures brix levels (total dissolved solids) which give an indication of plant sugars, minerals and vitamin content. The link between high brix levels and inherent pest and disease resistance has been conclusively established. Good brix levels also ensure good taste, longer shelf-life and better yields.